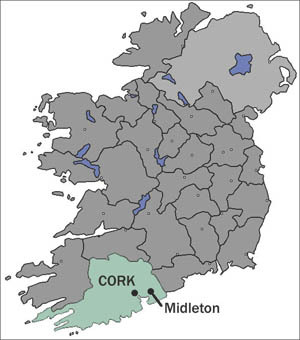 Astonishing unholy move by the venal Irish government – taxing our heritage! 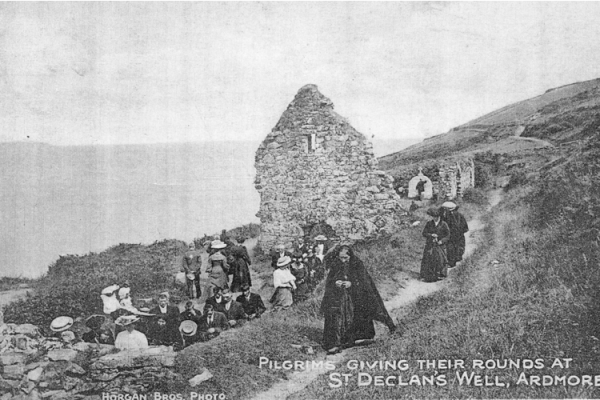 Clearly a thing of the past – pilgrims visiting St Declan’s Well in Ardmore, County Waterford. This astonishing item popped up today on a website that I follow – but it’s so well buried by the government that the mainstream news media have yet to pick it up. And the government are denying all knowledge of it. It’s to do with ensuring the the controversial Irish Water get a TOTAL monopoly on our ENTIRE water supply – before it is sold off to the private sector! Now I know that Irish Water is already holed below the waterline to keep voters happy, but this is really a bit much. But then it is entirely typical of a government that strongly supports stealth taxes! Next thing you know they’ll be selling off out ancient manuscripts – we could do without the Codex Stultorum, but should we really sell the Lebor Aibreain Amadan and the Book of Kells? I shudder to think of where that would stop! Lodge your protest with your nearest Government Minister/TD, Irish Embassy/Consulate, newspaper before midnight! My God! To think that they’d treat the Lebor Aibreain Amadan like that too!